Diet soda entered our society in the 1950’s and 60’s. Do you remember the early days of Diet Rite, Tab and Fresca? Diet soda is a massive business (no pun intended). But their intended effect continues to show conflicting evidence and outcomes. It seems the more we talk to new female clients, the more we find experiential evidence showing the backfiring of diet sodas on the body and the brain. As fitness/wellness professionals, this is no surprise to us. However, it does create a bitter confusion in the women who come to realize the truth. The idea of diet soda preventing weight loss, and even causing weight gain, would seem quite odd at first, however, there are plenty of women (and men) who’s firsthand accounts clearly highlight this contradictory picture. Let’s keep in mind, the weight issue is only one aspect of this “diet soda mirage” – the other part of this picture are the ill effects on overall health – both mental and physical. Just get a handful of women in a “diet soda addiction” focus group and have them open up about things…. If speaking honestly, what you’ll hear will not only surprise you, but should also scare you – maybe even infuriate you. But that is just the tip of the iceberg, because this goes far beyond the weight issue and into other serious health implications ranging from depression to hormonal dysfunction – and many other problems in between (headaches, lethargy, GI issues, etc…). We know it’s hard for women to make the shift to an alternative, especially when she doesn’t have the knowledge on how to navigate all the gray areas of health, wellness and nutrition. 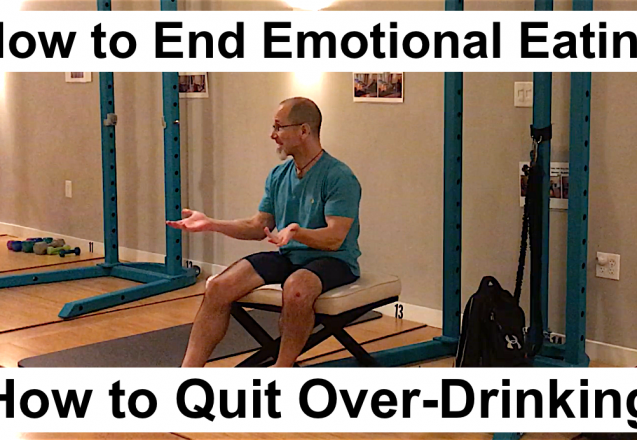 Joey went on to share everything he knew and also signaled me to create this article to share with our e-newsletter subscribers, so we can also help women like you – take steps for the better and make positive changes for your health and wellness. As a matter of fact, in that specific E5 seminar, Joey suggested that any of our women who need a replacement in order to “get off” diet sodas should try ZEVIA, which is an all natural, zero-calorie, stevia (herbal extract) sweetened soda. Not only does Joey drink it himself, but it is the only soda his kids drink as well. As you might imagine many of our ladies here have made the switch and are thoroughly enjoying this healthy replacement to diet sodas. So, what we do here for our female clients is clear up these topics so there’s no more guesswork, no more confusion, no more dead-ends… Just safe, gradual and positive progress of health, wellness and quality of life. No other gym, fitness center, boot camp, yoga or pilates studio does that. NONE OF THEM. Our approach to women’s fitness and wellness is unique, yet simple – powerful, yet gentle – effective, yet fun… And it’s for women who feel like there’s nothing out there for them. WE ARE THAT THING – we are for YOU. Don’t let that happen to you again. Start doing the right thing BEFORE the next weight-increasing holiday season starts. 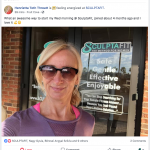 If you live in the Saint Johns, Mandarin or Fleming Island area – call me at the number below so we can have you in for a Studio Tour, meet the Team and meet the other amazing women, like you, who are coming together to create the SCULPTAFIT Community. Trying to get yourself “in shape” and healthy ON YOUR OWN has not been working. WE KNOW THIS. It’s like climbing an icy mountain. You NEVER make any progress. Be sure to share today’s e-newsletter with any other women you know who will benefit from it. You never know whose life you’ll improve with just one simple gesture of help. Are You New Here? First Time Hearing About Us? 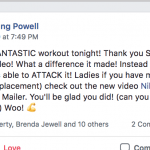 PS – call or text me as soon as you’ve read this (904-891-3680), and let me know what questions you have about your personal fitness/wellness and how we can help you overcome your toughest challenges, and take you to your natural potential – and let you live your best life EVER.